The photography of photo artist Christine Sneddon is currently on display at the Whittier City Hall lobby, 13230 Penn St.
A free public reception to meet Sneddon and learn about her work will be held from 5:30 to 6:30 p.m. on Tuesday, Jan. 26. Sneddon, a Whittier resident, photographs a variety of subjects. The free exhibit will be held through February 19 during the regular City Hall hours of 8 a.m. to 5 p.m. Monday through Friday. For more information on the exhibit, reception or the City Hall Lobby Art program, contact Parnell Park at 562-567-9450 or ehamilton@cityofwhittier.org. 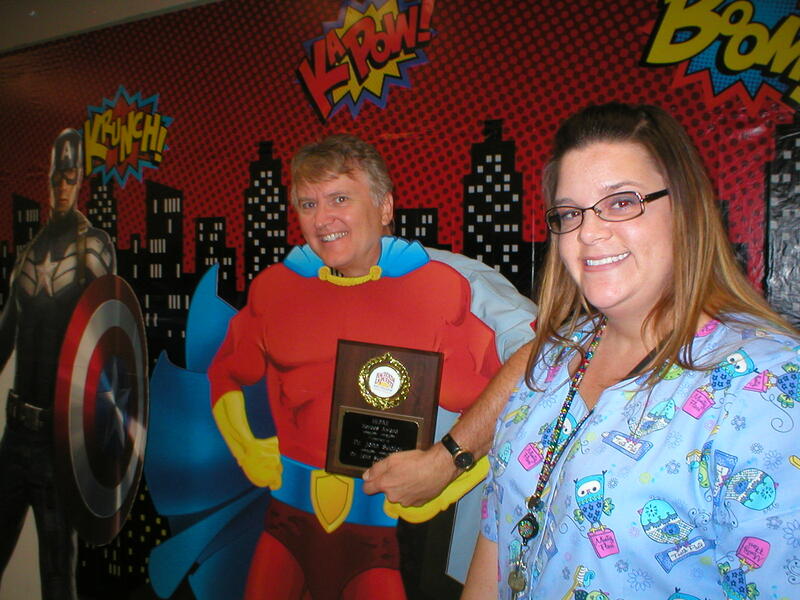 Whittier dentist, Dr. John Sudick receives the Hacienda La Puente Adult School 2014 Heroes Award from Heather Pasicznyk, RDA, BVE, MS for his more than 10 years of volunteer work with the Dental Assisting Program. Local Whittier dentist Dr. John Sudick wasn’t sure to expect when he arrived at the Hacienda La Puente Adult School (HLPAS) on Thursday Nov. 13, 2014 for a luncheon to honor volunteers for the adult education program. Sudick has been volunteering for the HLPAS Dental Assisting Program for more than 10 years in various capacities including teaching, consulting on the board for the accredited dental assisting school, placement for dental assisting externships and providing dental services for the San Gabriel Foundation for Dental Health at the school’s clinic. The walls were adorned with superheroes from various DC Comics including Superman and Captain America. The chairbacks at each table had various superheroes capes attached, and large life-size cutouts were at the side front of the room for photos. It was over the top to honor 12 volunteers from the various Career and Technical Education Programs at HLPAS. The gourmet food prepared by the HLPAS Culinary Arts students for the luncheon included smoked beef brisket, shrimp, mashed potatoes, rice pilaf, various salads, and fruits and wonderful desserts. Filo and Steve Hernandez have been married for 35 years. They recently reopened Steve’s BBQ in Uptown Whittier after orchestrating a complete makeover to the longstanding Louisiana-style rib eatery. WHITTIER – There was a time when a trip to Steve’s BBQ in Uptown Whittier was a perilous journey. The place used to be rife with Mongol biker gangsters and people who would get drunk, loud and unruly as the clock edged past midnight and the music rose even louder. That was, used to be. Now take a look at the longtime eatery at 7007 Greenleaf Ave. If you’ve been to Steve’s before, prepare to be amazed. Owners Steve Hernandez, his wife Filo (Filomena) and son Josh – with help from interior designer Gabriel Morones – have transformed the place into an upscale eatery, even if those predisposed to stereotypes don’t easily equate class and family with Louisiana-style ribs. Steve, 55, who began his career bussing tables in Montebello at the ripe age of 16, recently invested a large chunk of change to give his restaurant a completely new look. Following a six-week renovation, the place that formerly could pass as a bad bar at best is now a classy establishment in the truest spirit of a revitalized Uptown. Steve and his staff hosted a reception last week for about 30 people who were equally amazed. “It’s a big deal. It’s absolutely gorgeous,” espoused Mayor Pro Tem Fernando Dutra. He said Steve’s might help transform Uptown into a destination spot, not unlike Old Town Pasadena, Downtown Long Beach or Los Angeles. Steve’s regular Samantha Ridout, past president of the Boys and Girls Club of Whittier, was equally impressed at the restaurant’s metamorphosis. For years Steve Hernandez has donated food to the “Ribs for Kids” events and has been a longtime supporter of the club. “He helped raise money for the organization,” Ridout said. “It gave us the opportunity for good community exposure – letting people know who we were. He’s always been so generous. He donates to the (BGCW) gala every year. He loves the community. He loves the kids. He’s a hard worker and has good ethics. He had troubles in the past with his business years ago, but everything (the city) asked him to do he did. 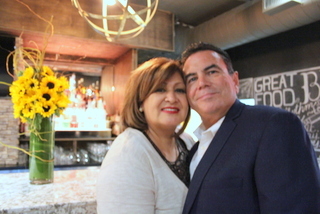 Steve bought the restaurant in 2002 from his mom, Nancy Lemus. Both are staples in the Whittier Host Lions Club. Before that, Steve and Filo owned The Barbecue House in Montebello. The times have changed, but the food remains the same, albeit on a more focused menu. Patrons can order half and full orders of baby back, spare and beef ribs, ribeye steaks, barbecued chicken, crab legs, oysters, fried and garlic shrimp, chicken tenders, mozzarella sticks and chicken salads. And don’t forsake the mashed potatoes, perhaps the best this writer has ever tasted. Add a full bar that includes delectable cucumber or mango margaritas, peanut butter shots and more than 20 craft and domestic beers, and there’s plenty on the menu to please the palate and keep customers coming back for more. What Steve’s offers that many other restaurants don’t, however, is live music. From Thursday through Sunday, after 9 p.m., Steve’s features rotating bands like the Midnite Cats and Sal’s All-Stars, serving up jazz and blues until 2 a.m. Between 10 and 15 different bands appear on Steve’s musical menu. The kitchen remains open until 1:30 a.m. for the late-night diner. Steve’s employs about 20 and is open six days a week. On Tuesdays it’s open from 5 to 10 p.m., Wednesdays from 5 to 11 p.m. and Thursday through Sunday from 5 p.m. to 2 a.m. with aforementioned live entertainment. The restaurant also caters food for every occasion. And for Steve, it’s a love of family that’s spurred his restaurant’s transformation more than anything else. Call 562-789-0200 or visit www.stevesbarbq.com for the delicious details. Tim Traeger is former editor of the Whittier Daily News. Reach him at ttraeger@411whittier.com or call 626-646-7352. 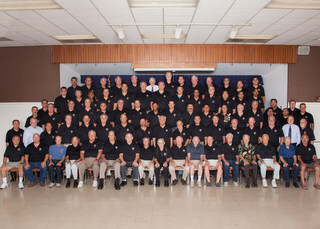 Almost all of the nearly 150 Whittier Host Lions Club members gathered on Sept. 18 at the Whittier Masonic Lodge for a monumental event – the first club picture in 20 years. The image was taken by Tom Guerrero of Say Cheese Photography. 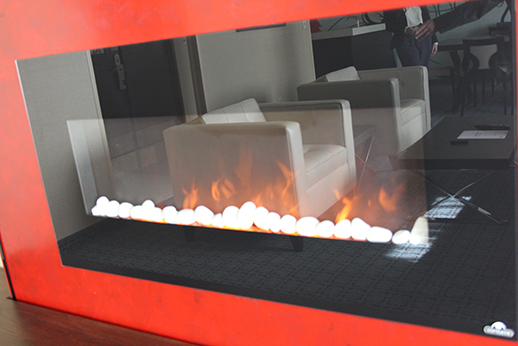 A faux fireplace stands in one of the parlor residential units at the 202-room Radisson Hotel Whittier. The property recently underwent a $6 million renovation. 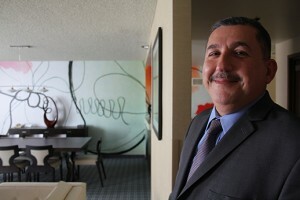 Radisson Hotel Whittier General Manager James Sarkis stands in one of the 202-room hotel’s parlor residential suites. The hotel has recently undergone more than $6 million in renovations. Radisson Hotel Whittier General Manager James Sarkis is shown in his office. The property recently underwent more than $6 million in renovations. WHITTIER – A former musician-turned-hotel general manager is making beautiful music in Whittier. Under the six-year stewardship of Radisson Hotel Whittier General Manager James Sarkis, the former professional guitarist and native of the Bronx, N.Y. helped persuade Taiwanese owner Terry Lee to invest more than $6 million to improve both the hotel and its sagging reputation. That money over the last three years has transformed the 202-room, eight-story hotel into the place to stay for people visiting Whittier. Just a few years ago the hotel just north of Mar Vista Street on Greenleaf Avenue, formerly known as the Hilton, was accommodating a poor reputation. Dirty linens. Filthy glasses. A TV menu that ran from channels 2 through 13. ‘”It was in bad shape,” admitted Sarkis, 46. 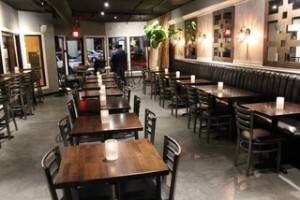 “Everything is different now – a complete remodel. I started pestering the new owner. We need to make renovations. Renovations. Renovations. Or your business is going to go down the tubes,” he said he told owner Lee. And the changes are being noticed. Parents of Whittier College students who used to shy away from the Radisson in favor of the Double Tree in Norwalk or the Embassy Suites in Downey are coming back to the Radisson. Now that wagon looks more like a luxury coach. New furniture and linens in every room, a new look to every floor, and an open lobby that’s clean and fresh. The restaurant – Sophia’s California Bistro – has been transformed into a place for locals and visitors alike to gather and have fun while enjoying professional sports and live entertainment. The investment has also paid off in a fresh reputation with the city itself, which gleans about $750,000 a year from the room taxes the hotel collects, according to Sarkis. That’s a welcome addition considering over the last seven years Whittier has lost all but two of its automobile dealerships along Whittier Boulevard. “We were missing the opportunity so we decided to get these people back. Just being the only full-service hotel in Whittier, that means a lot. Everyone in the community loves our hotel. Any family event. Any life event. They want to have it here first,” Sarkis said. “We’ve done everything from our meeting space, totally new, to the rooms. Everything is new. 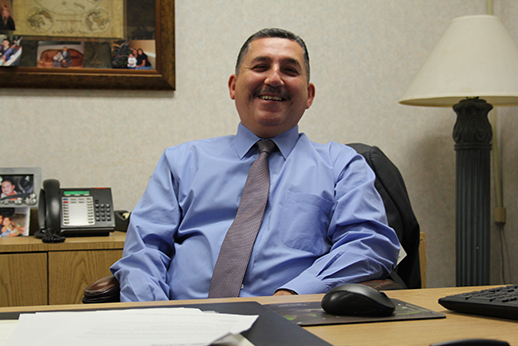 We had intense training with our employees to be up to standards,” said Frank Macias, director of sales and marketing. He said the hotel is now running at occupancy rates of 150 to 170 rooms rented out of the 202 total. “That’s not bad, compared to last year where we were averaging less than 100,” Macias said. Sarkis was stark in his assessment of the Radisson’s past performance, and its previously tarnished reputation. Mayor Bob Henderson has noticed the difference. Sibling properties include the Carlson Rezidor, Country Inn Suites, Park Plaza, the Radisson Blue and the Park Inns. Reyes said the remodel began in 2011 with the renovation of guest rooms completed in 2013. Depending on demand, room prices range from $109 to $189 a night. Macias said the metamorphosis is constant and continuous. Sarkis gave his staff any credit due. Certainly beautiful music for Whittier. WHITTIER – There’s new technology lurking at City Hall. “AccessWhittier” is a new mobile phone application for iPhone, iPad and Android to help residents report issues on the go and tap into local government around the clock. A wide variety of issues, such as potholes that need filling, abandoned shopping carts which need to be picked up, graffiti that needs removing, street lights out, and property maintenance issues in your neighborhood, can now be reported using iPhone, iPad or Android smart phones. Smart phone users simply open the application, select an issue, take a picture, and tap submit – the application identifies the exact location and sends the issue directly to the appropriate city staff member. That staff member then addresses the matter, though in some cases the fix or repair for larger items may need to be added to the city’s work program so it is accomplished as funding is available. The GPS and camera features built into the iPhone and Android smart phones make it simple for residents to alert officials about issues around the clock while they’re mobile. Residents will know their issue went to the right person without ever going to an office or sitting down at a computer or making a phone call during business hours, and they can also receive status updates on the issue they report. This efficiency allows the city to improve customer service with fewer people on staff. The smart phone applications can be downloaded by searching for “GORequest” in the Apple App store or Google Play store. There is no charge to download the application. AccessWhittier is also available to Windows phones and other mobile devices by browsing a mobile version of the city web site to access services at http://user.govoutreach.com/whittierca/faq). The smart phone application joins the city’s new e-Newsletters and public Wi-Fi system as the latest additions in the city’s efforts to enhance communication, transparency, and efficiency. Residents can register to receive one or all of the city’s E-Newsletters, emailed regularly to update the public on city events and issues. The public wireless network is now active at City Hall and allows wireless access in all public areas to help visitors conduct business at public counters and present information at meetings. More information about AccessWhittier, e-Newsletters, and public Wi-Fi is available at www.cityofwhittier.org and at the city’s IT Division at (562) 567-9870. 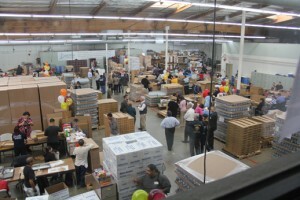 Disabled “clients” and Lincoln Training Center staff keep products rolling to market at the 35,000-square-foot facility on Wednesday, Oct. 30, 2013 in South El Monte. SOUTH EL MONTE – What they do makes a difference every day. How they do it buoys the spirits of those who may have been tossed from mainstream society or witnessed their combined potentials overlooked. About 100 invited guests from across the Southland came to the center’s 35,000-square-foot headquarters at 2643 Loma Ave. to see the about 200 disabled “clients” packaging goods, bundling bars of soap but, most importantly, holding down real jobs. Griffen said Lincoln has centers in Sacramento, Fresno and another in Vista near San Diego. But the nonprofit’s reach touches many communities. He has worked in his position for 26 years. Many administrators at the center have tenures longer than two decades. On this day many clients were packaging “chip boards” for painting contractors. Those boards will be shipped to stores like Sam’s Club, Costco, Lowe’s and Home Depot. Yet the center also provides custodial, grounds maintenance and general contracting. For Bret Kirkpatrick, CEO of Bay Cities Inc. in Pico Rivera, Lincoln provides a reliable workforce for his marketing company that lowers the firm’s bottom line. “We have a team from Lincoln that reports every day at our facility. They do packing, and different types of jobs for our clients that are part of our core business. They come to work on time. They are excited about what they’re doing. They do a great job every day for us and they’re reliable. It’s a really nice relationship,” Kirkpatrick said. “What I like the most about it really, is when I come into work it’s an example for all of our employees. We interact with these folks. There’s one employee named Mikey. He’s so fired up. ‘How you doing?’ ‘Awesome!’ Why aren’t we so excited about our jobs?” Kirkpatrick said. His company of 125 full-time staff has been in Pico Rivera for 57 years. Michael Doss of Belmont Shore, whose wife owns Brown’s Jewelry and Loan in Rosemead on Garvey Avenue, said the couple recently joined Lincoln’s “Affair of the Heart” committee. There’s a reason why the couple got behind one of Lincoln’s largest annual fund-raisers. But beyond bottom lines and shorter unemployment lines, there’s a higher sense of purpose for many who work at Lincoln. For RoseMary Garza, Lincoln vice president of rehabilitation programs who supervises the staff that gives guidance to disabled clients working at the center, her job of 26 years offers a level of fulfillment a mere paycheck can’t provide. “It’s extremely fulfilling to see these individuals being provided the opportunity to go out and display their abilities,” Garza said. “They are excellent employees. A lot of the information we receive from many of the contacts we have out in the community say that they are truly an added benefit at their locations.